I still don’t know how Ford did it, come up with a new GT that’s as beautiful as the old one, but with a modern twist. I also don’t know how Ixo continues to offer such beautiful 1/43 die-cast models at such reasonable prices. 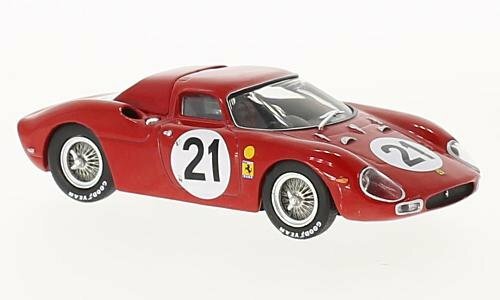 Ferrari established itself as an endurance racing powerhouse in the 1950s and early 1960s. It won the 24 Hours of Le Mans outright eight times between 1954 and 1965, six in a row from 1960 to ‘65. It hasn’t won Le Mans since. Who doesn’t recognize, and like, the Michelin Man? He’s probably even more famous than the Pillsbury Dough Boy, although I’ve never heard Bibendum (Bib for short) giggle. Well, IXO loves him too and has come up with an unusual Michelin tire truck, especially for the North American market. 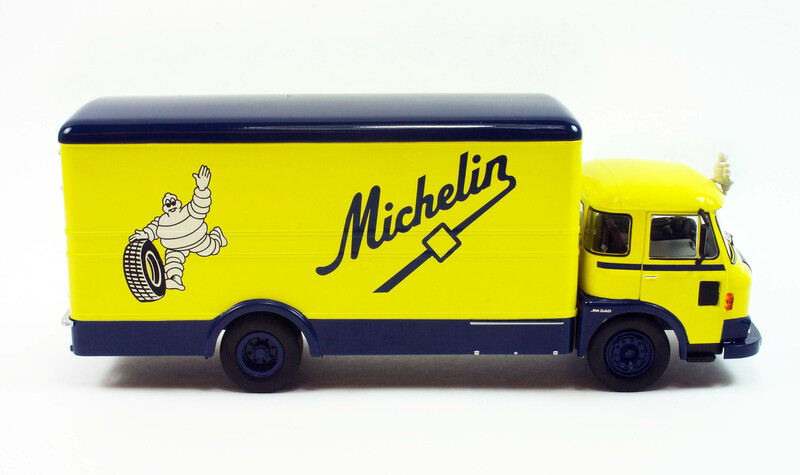 This is a French Saviem truck from 1970, something you’d see delivering tires to the local Michelin tire store, or maybe backed up to the garage area at a European racetrack. In 1/43 scale it’s a showcase stopper in its yellow and blue trim and runs roughly 7.5 inches long. Our review copy was provided by American-Excellence, which handles IXO, BOS Models and NEO, among other brands. Saviem’s history is interesting, and to be honest, it’s a truck maker I had never heard of until the sample arrived. 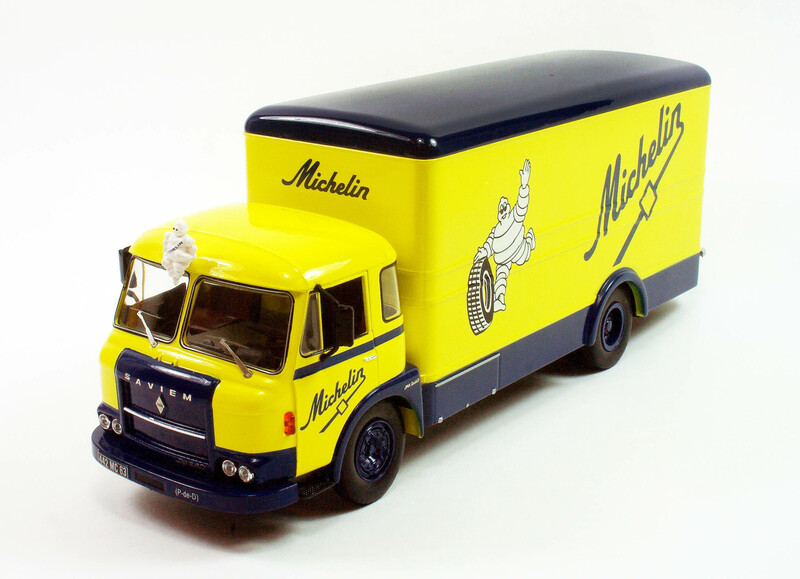 Turns out that Saviem existed from 1955 to 1978 in France and the name is a mash-up of its original truck firms that were all merged at that point, by Renault after it has abandoned the commercial truck and bus business following World War II. In the early years, a lot of competitors, and winners, in the 24 Hours of Le Mans endurance race were from France. Many of those makes are legendary, but many also are gone. One that remains is Bugatti, now known as a super car maker of impeccable quality, speed and styling. Its pedigree is long and distinguished. That pedigree includes two Le Mans wins, one of only 11 car makers to score more than one win and one of just 24 brands to win at Le Mans. Porsche and Audi have each won more than a dozen times, but who’s counting? 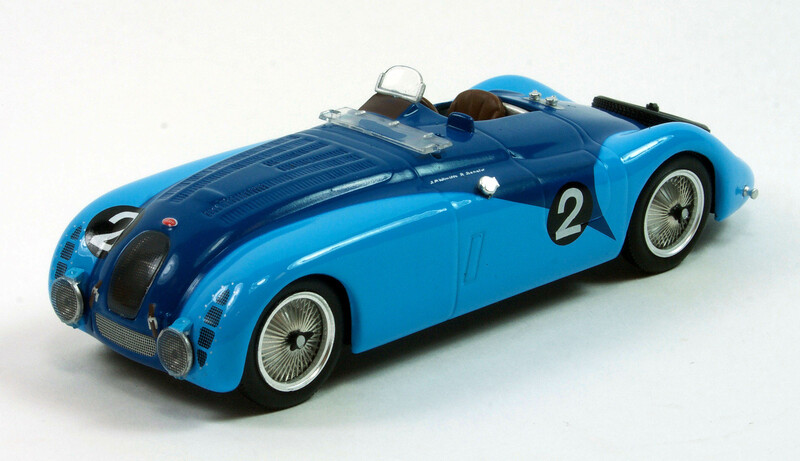 Ixo now delivers a sharp 1/43 scale die-cast model of Bugatti’s 1937 Le Mans-winning Type 57G. Bugatti won with a similar car in 1939. This car, and its drivers, make for a unique tale. Only three Type 57G Tanks were built and this one won Le Mans in 1937. It was driven by Jean-Pierre Wimille and Robert Benoist (more on them in a moment) and completed 243 laps, 7 more than the second place Delahaye 135CS. The Bugatti ran a 3.3-liter straight 8 while the Delahaye was powered by a 3.6-liter straight 6. In 1964 I was nine and car crazy, like a lot of other kids my age then, and now. IXO’s PremiumX line includes a variety of U.S. models. But in the ‘60s cars changed virtually every year, with some sort of styling update, from headlights, to taillights to trim and accessories to make them look slightly updated. Ah, the good ol’ days!I was part of the Baby Boom that made station wagons one of the hottest selling car styles, and one of the more popular ones was Ford’s Country Squire, with its fake wood trim down the full length of the car. Up top, usually a chrome roof rack, set to hold the family suitcases for that trip to Wally World, er Disneyland, or maybe a national park for camping. Ford’s GT40 is the most beautiful enclosed race car ever made, and one of the most successful too. 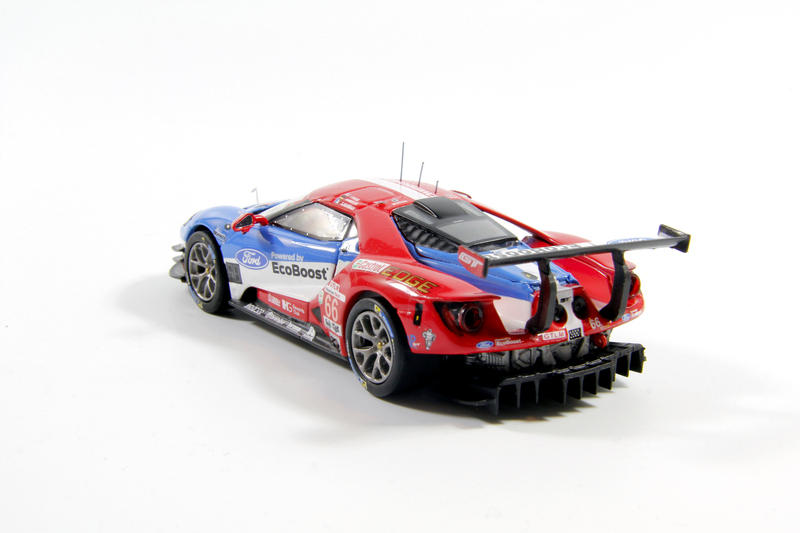 That’s my design bias, but the GT40’s success can’t be argued. 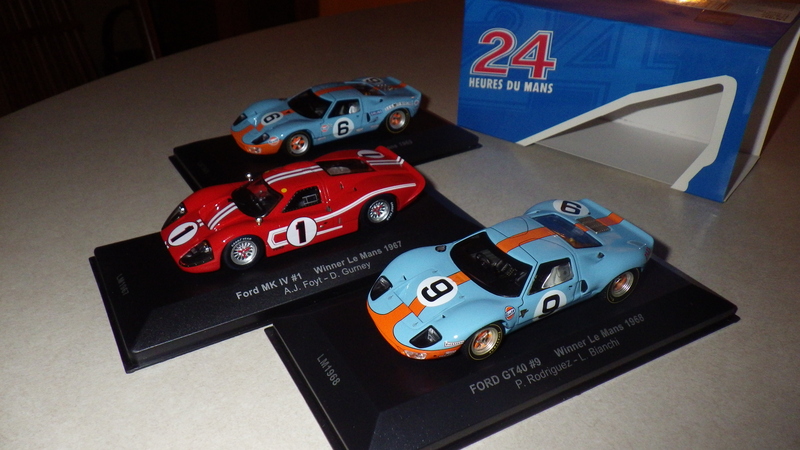 Ixo’s version of the 1967, ’68, and ’69 LeMans-winning Ford GT40s.